When Senator Estes Kefauver’s aorta ruptured on the evening of August 13, 1963, it set off a scramble to succeed him. Governor Frank Clement appointed millionaire businessman Herbert “Hub” Walters of Morristown to fill the remainder of Kefauver’s term until a special 1964 election could be held. Although conservative by the standard of many Tennessee Democrats, few could argue that the appointment of Walters was not a fitting tribute for one who had faithfully served the party for so long. In Tennessee, “Mr. Hub” was “Mr. Democrat” to tens of thousands of his fellow Democrats. Still, Walters had been operated on for throat cancer and was seventy-one years old. Few believed Walters would be a candidate to succeed himself in the 1964 special election; most political observers believed the governor had appointed Walters not only to honor him, but so that Clement could run himself in 1964. There were other prominent Democrats in Tennessee who gave running for the United States Senate more than a passing thought. Former governor Buford Ellington, once Clement’s Commissioner of Agriculture during the better part of Clement’s original six years as governor of Tennessee, was thought to be mulling the possibility of a Senate race. 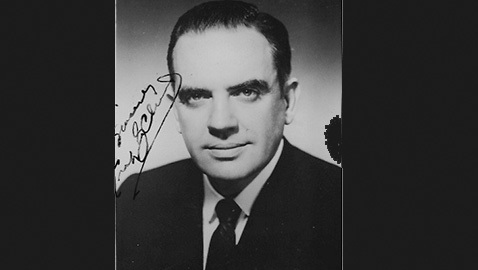 Ellington had defeated a host of challengers to narrowly win the Democratic nomination for governor in 1958 and without the support of the Clement organization it is highly doubtful he would have been successful. Ellington and Clement had once been close and many Tennesseans still perceived the two were warm personal friends and political allies, but the truth was somewhat different. Whatever close relationship had once existed between Frank Clement and Buford Ellington, it had cooled to a glacial temperature. The name of Estes Kefauver’s widow, Nancy, a vivacious redhead from Scotland, was briefly floated as a candidate to succeed her late husband. Mrs. Kefauver hardly waited a moment to make a definitive statement she was not interested in being a candidate. A more certain prospect was Ross Bass, congressman from Tennessee’s Sixth Congressional District for the last ten years. Bass had been a bombardier during World War II, an experience he never really got out of his mind. After the war, Bass returned to his home in Pulaski, Tennessee where he became a small businessman, opening up a flower shop. In 1946, Bass was named by Congressman Wirt Courtney as Postmaster of Pulaski, a position he continued to hold until he resigned to run for Congress in 1954. Apparently Bass was popular enough to keep Courtney’s successor, Pat Sutton, from attempting to displace him. Sutton, who had made a failed race against Senator Estes Kefauver in the 1954 Democratic primary, had no such compunction against challenging the freshman congressman when Bass sought reelection in 1956. Congressman Bass beat Sutton badly, winning almost 70% of the vote. Yet there was evidently some rancor between the two men. When Ross Bass made his last campaign, bidding to return to Congress in 1976, Pat Sutton ran in the Democratic primary against him. Congressman Ross Bass was well positioned to run for the United States Senate in 1964; his Sixth Congressional District covered a huge swath of Middle Tennessee, running from the Kentucky border to the Alabama state line. Nor could it be disputed Bass had entrenched himself inside his congressional district and was popular with the people he represented. Bass had been reelected in 1962 with more than 80% of the vote. Bass had faced a primary challenger in the 1960 election and won with almost 90% of the vote. Still, Frank Clement had obvious advantages that would have given any prospective challenger pause. Clement had been elected statewide three times, had won three Democratic primaries against serious opponents and commanded the allegiance of an army of appointees and patronage employees. Tennessee was still, at least in theory, a Democratic state and Ross Bass was shrewd enough a politician to realize Frank Clement was not invulnerable. As governor, Clement had raised taxes, never a popular thing to do with Tennesseans. Jim Nance McCord had found that out in 1948 when he had initiated the sales tax to support education, only to lose to Gordon Browning, who had left office in 1938 as the worst defeated incumbent in the state’s modern history. Clement was implacably opposed by the Nashville Tennessean, which waged a daily war against the governor’s administration. Bass was popular with several important Democratic constituencies, including blacks and labor. Congressman Bass was also well liked by many of the late Senator Kefauver’s supporters, which constituted a wide network of voters throughout the state. Bass was perceived to be more liberal than Governor Clement and he was the only Democrat in Congress from the rural South to vote for the Civil Rights Act of 1964. Bass received a “zero” rating from the conservative Americans for Constitutional Action, along with Tennessee congressmen Richard Fulton of Nashville and Joe L. Evins, who represented the rural Fourth Congressional District. By contrast, Congressmen James H. Quillen and Bill Brock received “perfect” scores from the ACA, while Howard Baker, Sr. got a 73% score. After the unseemly haste with which potential candidates began to consider running for the U. S. Senate following the unexpected death of Estes Kefauver, things had calmed down considerably during the fall of 1963. After a flurry of activity, Ross Bass had slowed down to the point where some believed he had decided to forego the Senate race to remain in Congress. Frank Clement was somewhat constrained by the reluctance of Senator Herbert Walters to state his own political intentions. Senator Walters stubbornly insisted he would not reveal his own plans until after the New Year. “I want these things firmly supported” Ned Carmack barked. “I don’t want any ducking about it. Somebody should stand clearly and plainly what they are for.” Carmack added, “I never expected to get into this thing, but I just may.” The former candidate, who had never been elected to anything, went on to relive the past through his 1942 race against Tom Stewart. “I carried that campaign right into the jowls of Shelby County,” Carmack bragged. The Tennessean went on to relate Carmack had supported Estes Kefauver’s 1948 campaign when the Chattanooga congressman had defeated Senator Stewart. There was no mention made of Carmack’s race against McKellar when he had been beaten badly by the senator. The Tennessean concluded Carmack’s puffery by saying once Kefauver had been elected to the Senate, Carmack had been one of Kefauver’s “trusted advisors”, which was sheer delusion. After making his demands, Ned Carmack descended back into well-deserved obscurity. On January 7, 1964, the Clarksville Leaf-Chronicle published a report that Congressman Ross Bass was all but certain to run for the United States Senate. Bass was certainly acting very much like a candidate, visiting Knoxville to make two speeches to different organizations. By early 1964, Ross Bass believed he had the support of most of the late Estes Kefauver’s organization. Governor Frank Clement and Senator Herbert Walters had yet to reveal their own political plans.